Well, really, everyone has anxiety. What I should have said is, I have general anxiety disorder. I’ve had it my whole life, though I didn’t know there was a name for it. I thought that it was normal for all children to have panic attacks over forgetting their homework. Or to be so sure that they were in mortal danger at any time in any place. I specifically remember envisioning how I, or someone I loved, could be killed several times a week. Sometimes I was terrified we’d be in a horrific car accident. Other times I was sure that a terrorist attack would happen at a nearby navy base and we’d all be in incredible danger. My grandmother told me once, when I explained to her how I think I feel afraid more than other “normal” kids my age, “Kaylene, you’re not that special. No one is targeting you. No one is trying to kill you. You’re not starring in a movie. When you start to feel afraid of something happening, remember that you’re not that special and you’ll feel better”. Her intentions were good, but that never quite worked for me. I still felt like I was going to drown any time I went near the water and was convinced that the bridge would collapse anytime our school bus drove over it during a field trip. Now that I’m a parent, I can’t fully explain to you how much worse the anxiety is. Having kids gives you a thousand more things to be worried about, and when you have anxiety those worries can quickly turn into panic attacks or obsessions. This is The Powerful Truth Behind Parenting With Anxiety. See, as a child with anxiety, I was afraid of something happening to me or my parents, or maybe my sister or brother. And it was terrifying. Who wants to vividly obsess over a car accident that never happened including the aftermath? But there’s something about your children that makes it so much worse. We were in a car accident last month. All five kids, including Sweet C (3 weeks old at the time), were in the car. We were rear ended by a drunk driver. Our car took the hit like a champ, the kids, Chris, and I were all fine, and all in all we were very lucky. But I still can’t drive. Not only can I not drive, but I am officially the world’s worst passenger. See, I wasn’t a great passenger before this. I’m positive that car accidents will happen all the time, and I’m jumpy and loud-gasp-y and I make my husband crazy. But now? Someone turns into the lane next to us and I grip whatever I can like I’m holding on for dear life. The other day someone was trying to merge without a signal, she ended up cutting us off, and I had a panic attack in the passenger seat, crying and hyperventilating for more than 20 minutes. Because although we were lucky and no one was hurt, that man could have killed us. And because of my anxiety, my brain has gone through a hundred different scenarios that have never and will never happen. But they’re so, so real to me. What if we lost Sweet C because she was so young? Even though she was in a proper car seat, she could have been shaken too hard from the impact. How could we keep living if we lost this sweet baby? I would completely fall apart. Our family would fall apart. What if we lost the boys? They were in the third row, and they’re in boosters which aren’t as safe as 5-point harness seats. What could we do without them? How could I keep going without my talks with Christopher about Ancient Rome and his quirky attempts at small talk? How could I keep going without A-Man and the way he loves pumpkins and quotes Disney movies? What if Chris and I died? We don’t have anything planned and figured out. Would the kids even remember us? What if we didn’t make enough memories with them? What if the kids got separated because they’re “half-siblings”? Who would teach my boys to walk to a girl’s door instead of texting “I’m here”? Who would teach the girls that their voice is powerful and they should use it? On. And on. And on. Trust me, there’s scenarios in my brain where we lose just Chris, or just me, or Cap’n M, or Miss S, or any combination of any members of the family. There’s scenarios where people are just severely injured instead of dying. So. Many. Scenarios. That all play out in my head, all day every day. It would be naive of me to believe that I don’t parent my children differently because I have anxiety. So I started thinking about the ways that parenting with anxiety is different than parenting as a “normal” mom. There are blog posts about how being a helicopter mom is the worst. thing. ever. Helicopter moms hover over their kids like a helicopter, keeping them safe from harm. They also keep them “safe” from basically experiencing life in general. I try not to be a helicopter mom. I really, really try. I tell my kids they can climb to the top of the big toy, I tell them they can do anything they set their minds to. But I also check on the baby fourteen times if she sleeps longer than normal because I’m terrified she’s stopped breathing. I don’t let my kids stay the night with friends, and I don’t often have babysitters that aren’t family or my best friend (who’s really family). My ex-husband has to text me when he’s taking the kids to the zoo because it’s over a bridge and gives me anxiety, and I straight up panic when he takes them up to Bellingham to visit his friends that live there. It’s not that I don’t trust people, I do. It’s that I can imagine 87 different scenarios that end up with me unable to get to my kids in an emergency. What if there’s an earth quake? What if there’s a tsunami? What if the kids get hurt and I’m an hour or several hours away? When my siblings and I were young, there was a small earthquake. We were at our friends’ house about a block away from home. My mom called our friends’ mom and told her she was coming to get us. Our friends’ mom assured her we were all perfectly fine, not afraid at all, but my mom persisted. We laugh at my mom for her logic back then. I mean, the Earth splitting in the middle of our small town outside of Seattle? Sure. But the fact is, my mom felt like that one time right after an earthquake. I feel like that all the time. Every single day. When you’re a parent, you get advice from all sides about everything. You better let your baby cry it out, no wait, crying it out is torture. You better breastfeed OR ELSE, but if you breastfeed it’s basically molestation. Don’t be a helicopter mom, but also if you don’t watch your kids like a hawk and they get hurt it’s all your fault. All parents are constantly questioning what it means to be a good parent. That questioning is only intensified when you have anxiety. You’re not just wondering if you should put your kid into public school or homeschool, you’re overthinking everything. Will they resent you for homeschooling if they miss out on the traditional school experience? Will they fail in public school and ruin their love of learning? 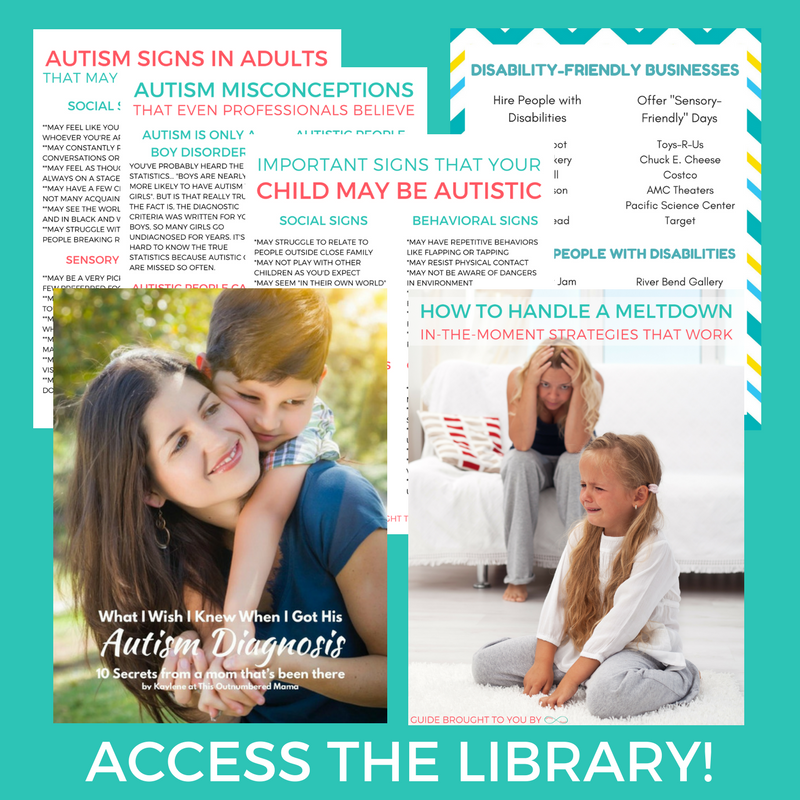 Does homeschooling our autistic kids hurt kids in the public school system? Along with the questions, parenting with anxiety means you pretty much always feel like you’re failing. If your kid is struggling to read, it’s definitely your fault. I mean, it’s your job as a parent to teach them and help them succeed, right? I got divorced when Mr. C and A-Man were almost two and almost three. A doctor even said A-Man’s autism was just a result of my divorce and my parenting. Now I know that A-Man was autistic since birth, and I’m autistic as well. Not to mention autism isn’t a “failure” at all. But back then? I felt horrible. My son had meltdowns constantly, he wouldn’t eat, he barely communicated. I believed all of it was “my fault” and that I was failing as a mother. When I threatened my kids with public school. I felt like a complete failure. I don’t want to be a parent that yells. I was yelled at as a kid, and whenever someone gets loud I shut down and start to panic. When the kids are running outside and I think they’re going to fall, I yell. When the baby’s on the floor having tummy time and one of the very clumsy big kids gets too close, I yell. When we’re walking to the car in a grocery store parking lot and one of the kids starts running, I yell. It isn’t because I want to be mean to my kids, it really isn’t. It isn’t because I am trying not to “raise a brat“. I yell because I’m anxious. Because they are doing something that could potentially put themselves or others in danger, and in that moment I absolutely control. “Okay, but everyone yells at their kids sometimes,” you might be saying, “it’s not the end of the world“. No, it isn’t the end of the world. But after I yell? The anxiety only gets worse. Am I damaging my kids by yelling at them? What if I die tomorrow and they only remember that I yelled at them in a parking lot? See, I yell because I’m anxious. But then I get more anxious because I yell. It’s a never-ending cycle for me. I don’t have a nicer way to say it. Parenting with anxiety makes life way, way harder. I hope every day that my kids will forgive me for the times my anxiety makes me fail. And I work constantly towards conquering my anxiety and becoming the calm mom I’ve always wanted to be. If you are a mom like me, struggling with anxiety, struggling to stay calm, struggling with your kids big behaviors that you don’t understand, you’re not alone. You can join me in The Behaviors Workshop. 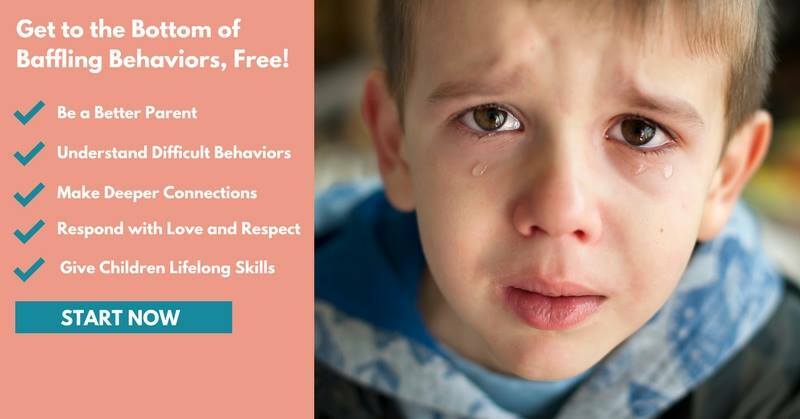 A week-long workshop that will give you the tools you need to understand your children’s behaviors and the anxiety that’s often behind them. I enroll in The Behaviors Workshop every time that it’s open, and I learn something new every single time. It’s even helped me understand how some of my own behaviors are directly tied to my anxiety. You can sign up for The Behaviors Workshop here, the workshop starts Monday, October 30th, and I hope you’ll join in with me. argh! I am SO sorry the car accident made your anxiety worse! 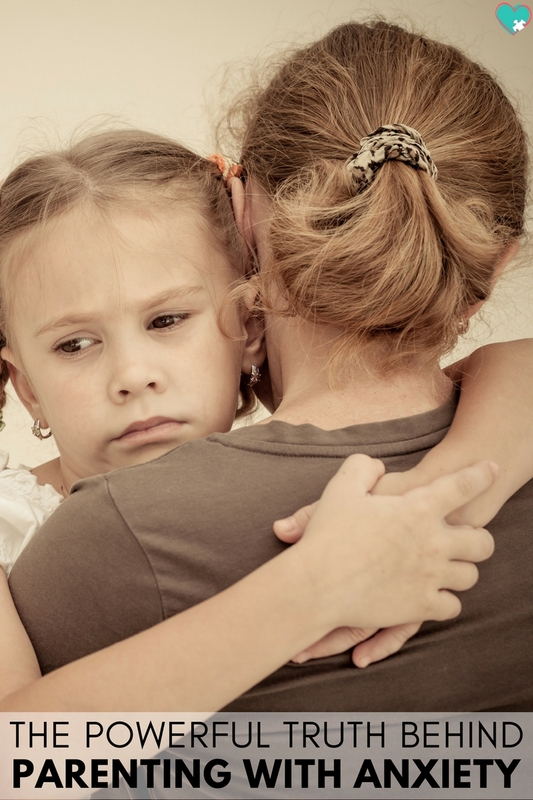 General parenting anxiety is bad enough – I can’t imagine having anxiety disorder too. Believing it will ease up soon as the memories fade. Hugs! 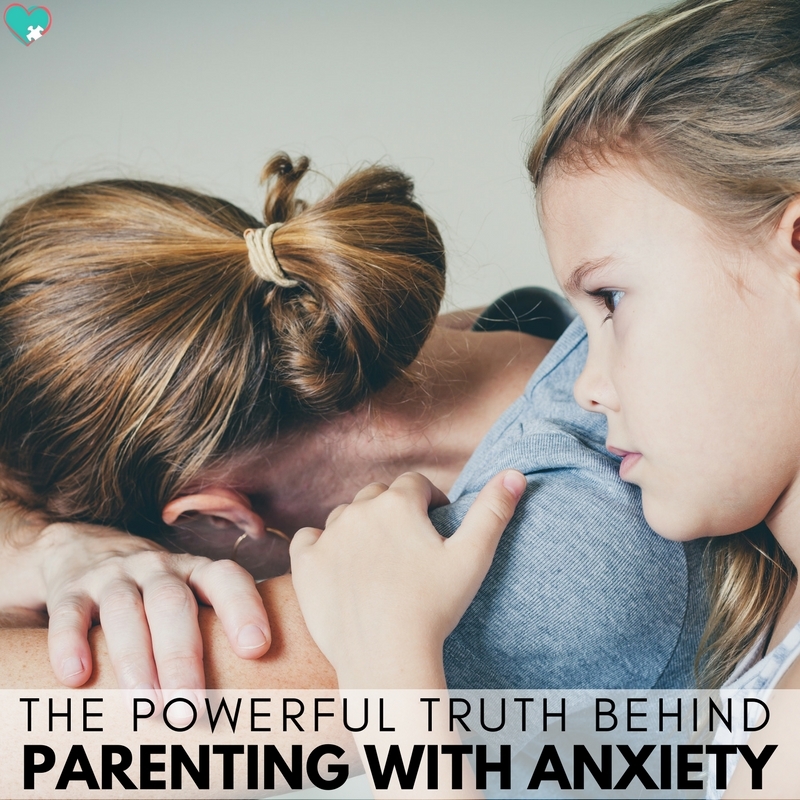 “Parenting With Anxiety Means Always Feeling Like You’re Failing.” That’s so true. I’ve been trying to express this for weeks. There’s so much that isn’t progressing ‘normally’ in our lives, and each item feels like its own special failure.